Hunting rabbits can be a great way to spend your time hunting. The best time of year for hunting rabbits is when the temperature is dipping. This time of year might be when your other game won’t be out in the open. However, the colder weather brings out the rabbits. 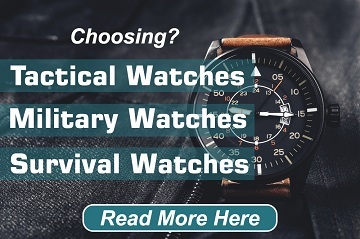 That can make it a good alternative when your hunting trip winds up happening over a couple of cold days. 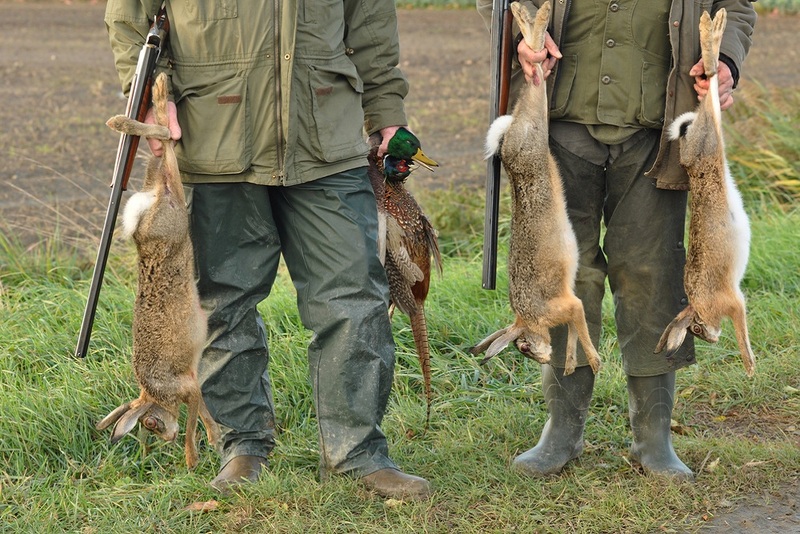 However, if you want to get the most out of a day of hunting rabbits, you will need to know a few tips. Other than the weather, you will need to pay attention to the time of day that you are out hunting. While rabbits in the past would move freely throughout the day, their habits have changed over the years. Their changes have happened because of the way that our world operates. Farmers work during the day. Part of their work is taking away parts of the habitat that rabbits thrived in. So instead of running around during the day, rabbits have been moving during the early morning and towards sunset. If you get up early or hunt during the hours around sunset, you’ll have more luck finding rabbits. Whether it’s just someone that is a little bit shorter, a child (such as your own, a niece, nephew, grandchild, etc. ), or even a dog, their help will be extremely useful to you. 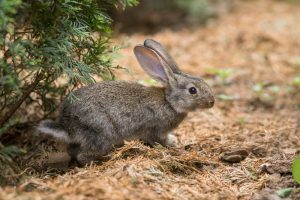 Rabbits are close to the ground and while you might be able to pick out a couple, you won’t be able to see as many as someone that is closer to the ground. Bringing a child with you can also be a great way to introduce someone in your life to hunting. This isn’t always the kind of hunting that they want to do, but it can be a great way to introduce them. Hunting with a dog is always a good way to pick out animals. They’ll be able to sniff out the rabbits that you have a hard time seeing. Speaking of seeing, you’ll want to be keeping an eye out for the eyes of the rabbits in thick cover. While this might seem a little bit unusual at first, you will find that seeing eyes in the crisscrossing cover will actually be easier. This will help you when you’re looking in the brush for rabbits. While watching for the eyes will help you spot some, you will probably miss a few rabbits by looking just for their eyes. You will have to balance looking for the whole rabbit with looking just for their eyes. However, this is a good way to work on how well you can spot rabbits while you’re out in the field. The skill of being able to spot things in dense cover can help while you’re hunting other game. While you won’t want to look through the thick cover, you will find more rabbits in that area. It makes sense that the rabbits would hang out there where they would be less likely to be spotted. It will require a little bit more work on your part, but you will be able to grab more rabbits this way. Thick cover will look different depending on where you are. If you’re in a field, then you’ll be looking through the stalks of grass. If you’re in the woodlands, you’ll still be able to find rabbits, even though they will be in slightly different places. Woodland rabbits will be hiding in the brush there, but you might find that there are an incredible amount of rabbits there. Most hunters will look in the fields first before they even think to check out woodlands or swampy areas. Going to less hunted areas will give you a better chance of finding some game that would have been overlooked. This can ensure that you will come back with more game than you would have otherwise. One of the biggest things to keep in mind when you are hunting rabbits in the brush, you will want to make sure that you are wearing something that stands out. Wearing orange will make sure that you are easily spotted. This is important regardless of where you are hunting or who you are with. Wearing hunter orange in the brush will make sure that other hunters will see you. This is one of the most important safety tips that we have for you. This is typically important in any hunting situation. However, you should be especially careful when you’re hunting in somewhere with tons of brush like where you will find rabbits. Understanding how rabbits think can help you more easily find them. You might not always be able to sneak up rabbits. In fact, they’re going to probably surprise you more than anything else. Rabbits are very capable at hiding when they know someone is coming. If you can’t seem to spot the rabbits as you’re walking around, then you might want to look behind you. Rabbits will sometimes hide and then dash behind you to get to a safer place. Rabbits who spot you might also dash into the cover and disappear from your sight. You’ll also typically find that this rabbit will appear behind you. This disappearing act is because the rabbits are trying to just get out of the way. However, they don’t expect you to be looking behind you, which is why looking back every now and then will help you find that one rabbit that was trying to get away. In addition to getting into the mind of the rabbit, you can have their wind work against them. Rabbits are perceptive and will run if they see something after them. 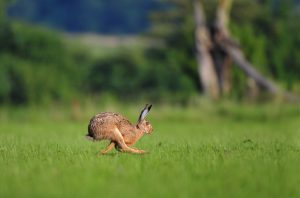 By pausing every now and then, slowing down or speeding up, and keeping your pace varied, you can ensure that the rabbit won’t know what to do about you. They’ll be frozen in place while they try and figure out how exactly you’re going to move. Keeping it varied will keep the rabbits in place. Hunting rabbits is one of the oldest ways that hunters sharpen their skills or begin their careers in hunting. 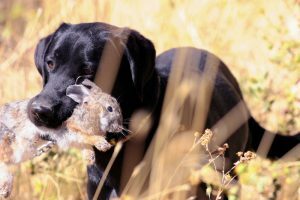 Whether you were hunting with someone when you were a kid or you’re new to hunting, going out and hunting rabbits can be a really enjoyable experience. You will be able to find new ways to look at cover when you are hunting and will learn more about the importance of understanding your game. While some techniques won’t translate to other game, the patience and skill will. So take some time and use a few of our hints to make sure that your next time out hunting rabbits is your best.